An article in Fortune Magazine this week shared some of the biggest marketing near-misses. Panellists at the magazine’s ‘Most Powerful Women’ Summit revealed their largest potential fails – and showed that even the most respected business minds have their off days. 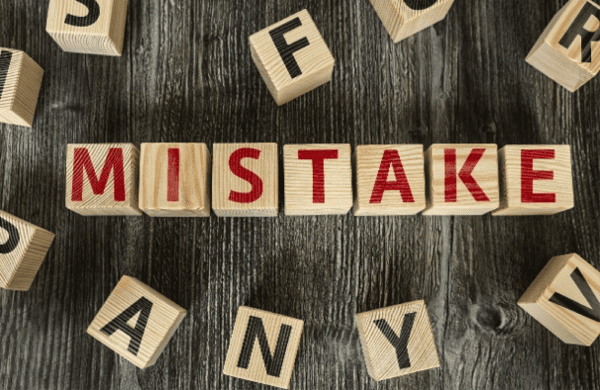 The executives – from companies including Unilever and US businesses Chico’s and Group SJR – were candid in recounting mistakes and potential mistakes they’d made. What does your market care about? Gail Tifford, Unilever’s vice president of media and digital engagement for North America, talked about her decision to introduce antibacterial properties to Q-tips (cotton buds). With ‘antibacterial everything’ a buzzword, Tifford decided to take the same approach with Q-tips. It was soon clear, however, that the consumer didn’t care about germs on their cotton buds. As Tifford said, this was a prime example of ‘what can happen when you become obsessed with what’s happening in the broader marketplace and with your competitors rather than with your customers’. If the customer is at the heart of your operations, your sales processes and your marketing, you can’t go far wrong. Genuinely put their interests first and everything else – regulatory compliance around suitability, compliant sales approaches and financial promotions – will naturally follow. Read Perivan Solutions blog on how to deliver the FCA’s consumer outcomes for some good tips. Shelley Broader, president and CEO of retailer Chico’s, talked about how she nearly came a cropper by naming a supermarket chain in Florida’s rural horse country after an equine disease. Only after getting feedback from outside the business did she discover that their first choice – Founders Market – included the name of a serious illness. This highlights the importance of speaking in a way that resonates with your audience (and won’t turn them off). This applies whether it’s something as major as our business’s name, or as seemingly minor as the choice of one word over another in a financial promotion. Ensuring your marketing is suitable and appropriate is vital. Read more in these blogs on ensuring suitability and on how you can write Compliance-ready content first time. Christa Carone, chief operating officer of content marketing firm Group SJR, talked about a near miss she had when she worked at Xerox. Carone was trying to rebrand perceptions around the firm by positioning it as “high tech and relevant with the c-suite”. But after spending a lot of money trying to sell the idea to company’s top executives, she realised that her strategy wasn’t working. Instead, the team switched to targeting managers and director-level employees by stressing the ways that Xerox could make their work a lot simpler. It worked. As with the Q-tips, Xerox went wrong by focusing on what they thought was important, not the issues of most concern to their market. In financial services, your customer and client concerns are likely to be around investment returns, the security of their money and the trustworthiness of your firm. Make sure you follow regulatory guidelines on disclaimers and their prominence. That way, your audience knows what to expect from the products you’re marketing. Not even the world’s best marketing experts get it right all the time. But with brand identity arguably even more important in financial services – where firms are often indistinguishable from one another – getting it right is vital. Approach branding from a compliance perspective – as well as a consistent and creative one – and you will reap the benefits. In financial services, this can be a challenge. But avoid the mistakes others made or nearly made, and you will be streets ahead of your rivals. 5 top tips for ensuring brand consistency has much more advice. You can download a free copy here. If you are unsure how your activities fits within the rules, please take advantage of our Financial Promotion Review or Marketing Support services. Do you have an opinion on the above or got a article you wish to share? We’re love to hear from you. Email us and get in touch today.